I’ve been reading the tips on this forum on shimming the barrel shank when you have a non-press fit barrel, using brass shims or shims made from beer cans, but was a little worried about barrel removal. Luckily members have also posted a couple of tricks for removing a tight barrel, so shimming seemed less of a concern. The only problem I could see was a product of my own laziness, in that the removal methods would require removing my scope, and in my case, also removing the extended scope rail. Since I anticipate removing my barrel a few times over the coming weeks as I play around with modding my barrel chamber, I decided to try another method that would allow me to keep the scope and rail intact. I don’t think this is a new idea, but I’ve only seen a couple of other recent posts on the subject so I’m posting it in case it helps someone (no claim that it’s a novel idea, so my apologies if you've seen this before). This mod only works if your receiver has been drilled for a cleaning rod hole (1/4” hole). Not sure if it will work with really tight barrels. With the shims, mine is pretty tight (needed a plastic mallet to seat it fully) but was surprisingly easy to remove with this tool. Optional: A small stack (5 or 6) ½” washers. These may be needed to extend the reach of the press. EDIT: I realized that using a socket as a spacer/extender works great. Easier to deal with than a stack of washers. Start by disassembling the rifle and removing the bolt. Place the ¼” hex bolt through the cleaning hole. Start one of the two hex nuts and screw the bolt in. When the bolt is about halfway screwed in, place the second nut on the end and screw so about ¼” of thread is exposed. Add the brass connecting cap part, and use the second nut to lock it into place (but not too tight). Hold the first nut, which is against the rear of the receiver, from turning with the open ended wrench. 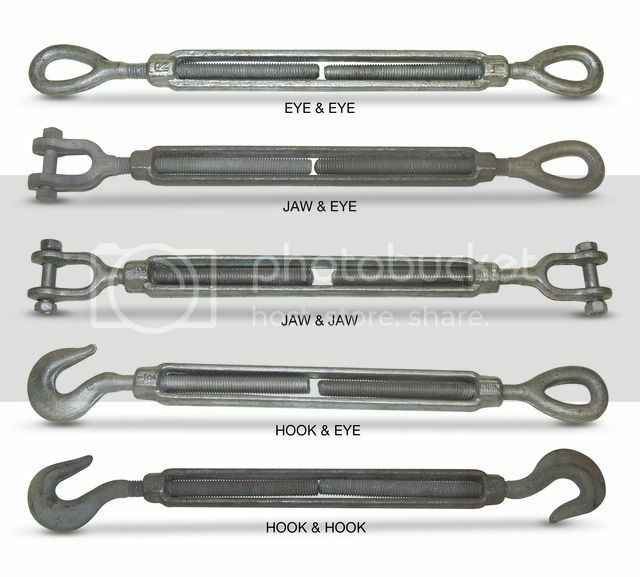 It helps to use a narrow wrench, like the top one in the pic above, to get the necessary clearance. Even with a narrow wrench, you'll be holding the nut at an angle. Use the socket wrench to screw the bolt in and press the barrel out. Notes: The 6” bolt with brass cap attached (bolt threaded ¼” into the cap) is only long enough to press the barrel about halfway out. This was enough in my case to be able to work the rest of the barrel out. If yours is tighter, go as far as you can with the bolt, then back it out and insert the stack of washers against the barrel shank, and then press the barrel the remainder of the way out. Last edited by rawhp; 07-24-2018 at 10:42 PM. I really like your idea. This looks like the best method I have seen so far. Thanks for posting this Dude! On your material list, when I used the HD link for the screw, it showed up as a 5/16. I assume you are in fact using a 1/4-20. Man! I like this idea. Yes, 1/4"-20. I must have pasted in the wrong link. Hope it works for you. I don't have one of the super tight fitting Kidd barrels, so I'm interested to see how it does on one of those. Well the next time I linked it, it was correct. I have several Kidd units but it will be a while before I swap out any barrels. But I'm sure it will work. Sure am going to give it a try. The Good Doc should make this idea a Sticky along with the other ideas. Good work my man ! I was wondering how it would work if you took and used a double nut on the brass piece. Lock the nuts against each other to keep the bolt from wanting to screw into the brass piece as you tighten up the back. Worth a try maybe. Can't see why ti wouldn't work. I noticed that I really didn't have to use much torque on the single lock nut to keep the brass piece in place. You'll see why I mentioned not to lock it down too much, since there isn't as much room to get a wrench in there as it seems. And you son't want the brass piece to bottom out, since it will be hard to remove afterwards without pliers. The reason for adding the lock nut and brass piece at the halfway point is that closer to the barrel, the clearance gets tighter due to the ledge. The ideal press would use a 6 1/2" bolt, but I decided to go with what was readily available. I also thought of using a long threaded eye bolt, and use a screwdriver in the eye to turn it rather than the socket, so there's a few ways to skin a cat using the same concept. No problem. They had turnbuckles in the same section as the bolts, so it did cross my mind as another way of approaching it. Someone without a cleaning hole already drilled may want to make an attempt, and if it works, we'll have other options. I think the regular threaded part could be replaced by a regular hex bolt (same thread pitch, I think) to save one hacksawing step.